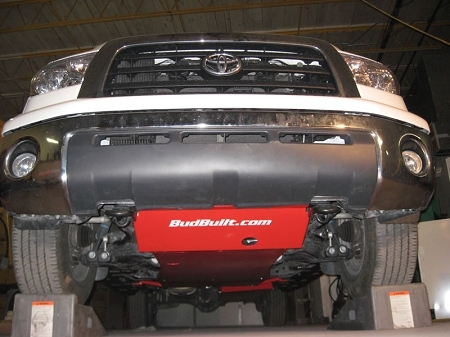 (2007-2019) Tundra Skid PlatesIncludes: Front and MidStage 1 (Rock Armor) is designed for drivers who need a significant increase of front end and engine protection along with an easy maintenance design that only BudBuilt can offer. 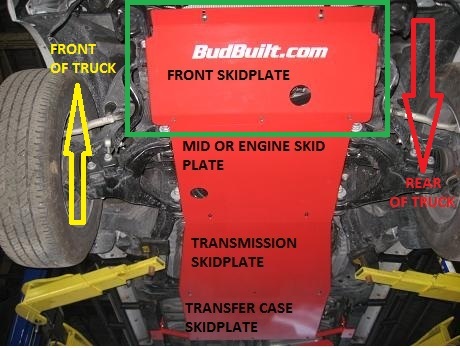 Stage 1 replaces the factory thin sheet metal and plastic splash shields. Standing as the only line of defense from the forward most crossmember, to behind the rear engine crossmember. Constructed from pure American 3/16" (4.76mm) thick, LASER cut, and CNC press brake formed steel. 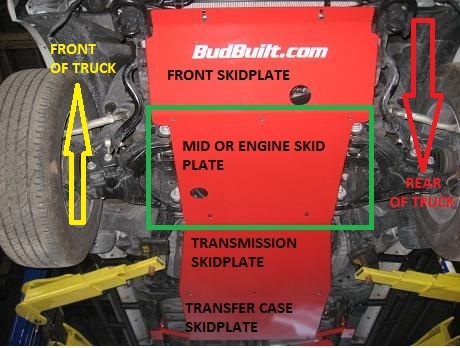 We will never use lower grade Chinese or Indian raw materials to protect your vehicle's expensive underbelly.